Growing up in Brooklyn NY, I was always suspicious of a saying I often heard: “What you don’t know won’t hurt you!” (And who started that anyway?) I did not believe that saying because I spent too much time at the Brooklyn: Public Library, Museum, Botanical Gardens, Children’s Museum, Prospect park, Zoo; along with my gifted middle school program experience, that exposed us to so many of the cities rich cultural institutions; and not to mention our daily reading of the NY Times in social studies. I truly believed that not knowing was a self-caused fatal deficiency! “Knowing”, seemed to offer an advantage in life; “knowing” causes one to interact with a sense of confidence and power in the world, an attitude not enjoyed by the uninitiated “not knowing” citizenry. This concept of the: Power of Knowing and wanting to know, that I adopted as a young child; and how the knowing, information enriched folks exercised power; while the lacking in knowledge poor folks; those with less of, or not wanting to know attitudes; lived a life of powerlessness at the mercy of the powerful. This idea, has remained one of the cornerstones of my educational philosophy, to this day. Well summer learning loss, is a situation where: What a parent does not know will definitely hurt their child! Another suspicion I have is how the “achievement gap” is framed and explained. The common working definition wrongly suggest a “running race” model, where there is some fair and equal academic achievement starting line for White affluent-entitled kids, and the Black, Latino and poor kids of any color; and then the “smarter” White affluent-entitled kids academically out-sprint everybody else. The truth is that the race is rigged; the winners and losers are determined before the race begins; the starting points are not now, or have ever been equal. Meanwhile, during the course of this “academic achievement race”, hurdles are placed in the running lanes of the disenfranchised children. Imagine an Olympic or any sporting event where the outcome was determined before the start of the event? Where one team or athlete had an open unfair advantage. Would fans lose interest, I think so; after all a chief marketing theme of the NFL is: “On any given Sunday, any team can win!” But not in education, the game is fixed, so that on any given school day, only one team always wins! All professions have: hidden, obscure, secrets, rules, information-knowledge; and develops a confusing (to the lay person) vocabulary and language. One reason for these essential qualities is that they allow the professional to ask for compensation (money) for their services. But this idea can at times go terribly wrong; as it often does in the education profession where there are large numbers of parents who don’t know how the real rules of: “Parent Engagement” work. Now much of this not knowing is “professionally contrived and created”, on purpose, as parents are cynically mislead into thinking that “parent power” is doing things like serving on a school budget committee; or, serving on a school personnel committee, and “picking” a teacher or a principal. With all of these “parent involvement” activities, school systems nationally and rationally, have a built in “veto mechanism” that can nullify any parent “decision”! Now, the reason school districts do “parent involvement” in this way is because it makes parents feel good, and it keeps them quiet. Parent “quietness” is a highly sought after goal in public education! The truth we don’t tell parents (well, some of us don’t tell); is that the most important objective of this entire K-12 exercise, is that your child emerges at the end of the process as an academically-socially-morally- emotionally-empowered, successful human being. And that the real and most effective Parent Engagement activities, those parental involvement activities that are essential to realizing student success; does not involve the parent serving on committees, selling cookies and candy, or “managing” the school; rather it is the parent effectively managing the out of school, and in school behaviors, habits, attitudes and practices toward learning, of their child! Some parents in this nation have essentially raised this “awareness” to an art-science; and thus the tremendous academic success of their children. 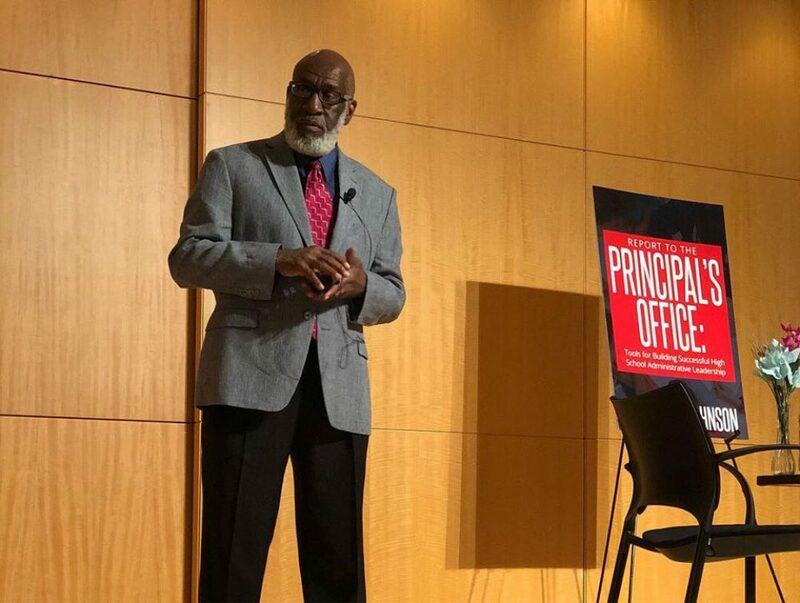 For 11 years as an urban high school principal, there were some parents who never ventured to tell me how to run the school. Their only question: “What do you need me to do to make my child successful?” And: “What do you need my child to do to be successful?” (“And I will make sure that they do it!”) All of those students “over-performed”. On the other hand I have had the parents of failing, underachieving, and terribly underperforming students; state nicely, and very often not so nicely, that I did not know what I was doing! Their children, often picking up their “cues” of disrespect from the parent, always under-performed. How many parent-teacher-principal meetings have I held where the parent can’t resist telling either the teacher or me; in front of the child, that we don’t know what we are doing. Why would the child listen to us after hearing that? The second most important parent involvement activity is for the parent to manage the informal educational program experience, such that it compliments and enriches the formal education program. As a young child I was on a summer “learning program” of so many hours of reading, academic workbooks my mother purchased, the YMCA’s culture-sports-arts day camp, my merit badge activities, the library, museums, my model train system in the basement, my stamp collection, my magazines: “Life & National Geographic”, my world war 2: model planes and ships, my science work: Ant farm, microscope/science kit during the day, and my telescope on the roof after dark, Police Athletic League, church activities and programs, summer academic enrichment program at P.S. 9, which included educational/cultural institutions trips and art activities, in middle school I had my summer saxophone lessons, a photography class, Overnight Boy Scout camping, trips to an upstate summer camp, a scholarship to a summer drama class, etc. In short I did not have a summer experience where I was just in the street playing, or in the house watching TV. At the same time, I don’t ever remember not enjoying my summer vacations. Parents must organize their child’s summer learning experiences; and that includes pushing back against the protest of your child (they will thank you later! ), and other adults, who neither understand anything about learning in general, nor about the power of informal education. Parents should also know that the effective “pushy parents”; may not feel obligated to share either the need for informal educational activities for your child, or where those activities exist. And so parents need to do their own local search for low cost or free summer learning experience activities. And even if they cost something, the investment is well worth it! I am amazed at the huge number of these programs for which many parents are unaware even exist. Every one with a phone has access to a search engine. Google or call your local-state government, universities, elected officials, cultural institutions, newspapers, school district, local library, private and community based organization for information on summer informal learning programs. Your child’s school should provide a summer (informal education) resource learning guide for you, and/or a summer work/study packet for your child. In part 2 I want to specifically focus on high school students; and how they can use the summer, (due to their “independent” movement ability), as a period of promise for present and future empowerment.